Margaret spent much of her childhood in the great mediaeval fortress of Tantallon, overlooking the Firth of Forth, and she was well accustomed to the harsher realities of castle life. Later, she lived in the Renaissance palaces of Henry VIII and Elizabeth, and also created two great northern palaces of her own, at Jervaulx, and Temple Newsam, known as the 'Hampton Court of the North'. Margaret was born in the English border castle of Harbottle (1), Northumberland. Today, Harbottle is quiet and isolated. It seems that nothing more exciting than lambing and shearing the hardy upland sheep could ever have happened here, but in 1515 things were very different. The Anglo-Scots border was the scene of conflict for hundreds of years, between the kings, the kings and their rebellious subjects and between the border families who preyed on each other and on passing travellers. 'Reivers', they were called, and a spot of sheep or cattle rustling seems rather romantic in retrospect, but, for the people of the time, the screams in the night, the smoke from burnt-out villages and farmsteads and the constant fear of blackmail (protection money, rather than the modern form) were a depressing fact of life. Loyalty was to clan, rather than king, and some of the most notorious families, such as the Armstrongs, refused to heed the laws of either country. Because violence was endemic and insoluble, when the countries were not formally at war, there was a system of regular meeting days to resolve issues and offer redress where possible. These days were managed by the Wardens of the West, East and Middle marches for both countries. There are copious letters from the various wardens complaining that the other side had not turned up, or had refused redress, or wouldn't hand over stolen goods, or hostages as agreed, but generally, unless either king was seeking an excuse for war, the matters were managed locally. So far as can be inferred from the letters, it seems that, whilst the Scots did more raiding over the border into England, the English Kings and their wardens spent more time and money deliberately undermining the Scottish government and suborning loyalties. Neither side comes out with any credit. 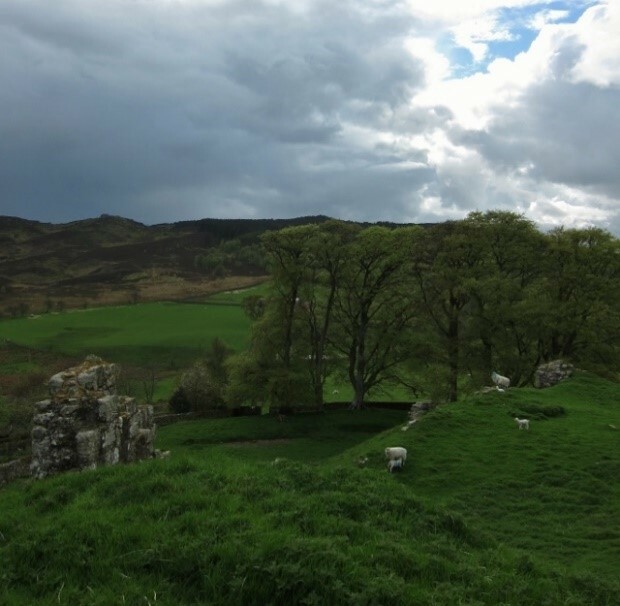 For the Scots Kings, to be seen to dispense justice in the borders was an important part of their role, and James IV, James V and Mary all presided over ‘Justices in Eyre’ personally. Such was the situation when Margaret, Dowager Queen of Scots, dashed over the border to Harbottle, where she and her baby stayed for some months before heading, via Morpeth, Durham and Newcastle, for London. On arrival in the English capital, Lady Margaret, too young to know where she was, spent time at Baynard’s Castle, Greenwich Palace and Scotland Yard (where during the mediaeval period, the Scottish kings visiting or held hostage in England, were housed). Returning to Scotland, aged eighteen months Margaret spent her childhood in the royal palaces of Stirling (2), Edinburgh Castle and Holyrood Palace. 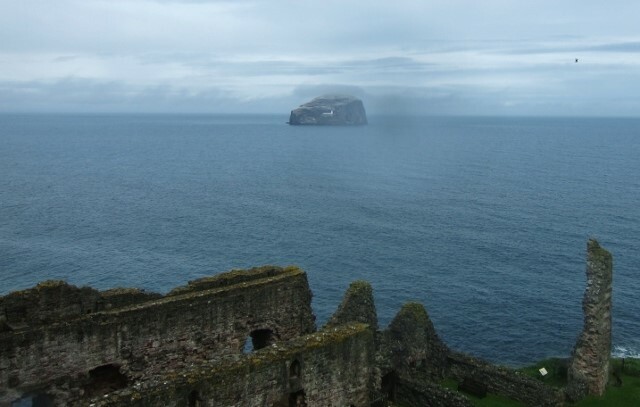 She would also have spent significant amounts of time at Tantallon Castle (3). Tantallon, one of the most impressive castles in the Scottish Lowlands, clings to the cliffs opposite the notorious Bass Rock. On a sunny day, it is an impressive sight; on a stormy day, it is a fearful one. Tantallon was almost impregnable, and James V failed to subdue it when he was attempting to capture Margaret’s father, Archibald Douglas, 6th Earl of Angus in 1528. Margaret may have been there at the time, but was more likely to have been at Coldingham Priory. At some point Margaret was sent into England for safety, and perhaps for her value as a hold over her half-brother, King James, and her mother, the Dowager Queen. 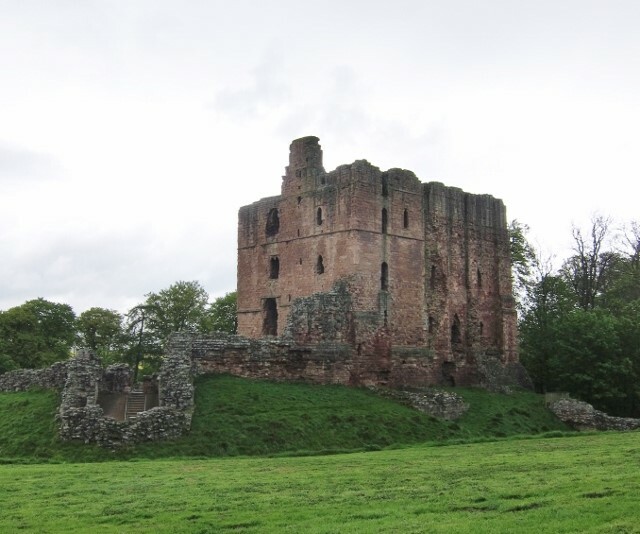 She went first to Norham Castle (4), another border fortress, actually on the River Tweed, where she could see out to Scotland, and later at Berwick Castle, England’s outpost on the north side of the Tweed. After some months there, Margaret was sent south. She may have gone to her aunt, Mary, the French Queen, at Westhorpe in Suffolk, or straight to the English court, and the household of her cousin, the Princess Mary. The English court spent most of its time during the late 1520s at Greenwich and Richmond, with the Princess at Beaulieu and Hunsdon. In the 1530s, Margaret was in the retinue of Anne Boleyn, often at Hampton Court and at the new palace of Whitehall (5), being constructed from the old palace of the Archbishops of York. It was at Whitehall that she agreed to marry Lord Thomas Howard. For this misdemeanour of engaging herself without royal consent, she was dispatched to the Tower of London (6) where she spent anything between six and fifteen months in the period from July 1536. This was followed by a period at Syon Abbey (8), which was not dissolved until 1539. She had left Syon by June 1538, returning probably to the house of the Princess, now demoted to ‘Lady’, Mary. In 1539, Margaret was named as one of the great ladies in attendance on Anne of Cleves, and she was present at the new Queen’s entry to the capital at Blackheath. For the next few months, she was with the court at Hampton Court, Greenwich, Whitehall and Westminster. When Henry divorced Queen Anne to marry Katheryn Howard, (an event which took place at Oatlands Palace) Margaret remained in the royal household, probably in the same position as first of the 'Great Ladies'. When Katheryn Howard’s star crashed miserably to earth, Margaret was also reprimanded for ‘lightness’ of behaviour – she had been conducting a flirtation with Charles Howard, the Queen’s brother. With no Queen, there was no role for ladies at court so Margaret spent the period between November 1541 and July 1542 largely at Kenninghall (9) in Norfolk, not far from where her lover, Lord Thomas Howard, who had not survived his sojourn in the Tower, was buried at Thetford. The palace of Kennnghall has long disappeared but in Margaret’s day was a splendid late mediaeval structure, built in the period 1505-1525, and owned by the Duke of Norfolk. Margaret may well have been happy there, in the company of her friend, Mary, Duchess of Richmond. In July 1543, she was back at Hampton Court where she witnessed the marriage of Henry VIII to his sixth wife, Katherine Parr. For the next year, she was in attendance on the Queen, then eleven months later, Margaret herself was married. Her husband, Matthew Stuart, 4th Earl of Lennox, and she were granted huge estates in the north of England. Her first child was born in London, at Stepney Palace, but her second at Temple Newsam (10), near Leeds. 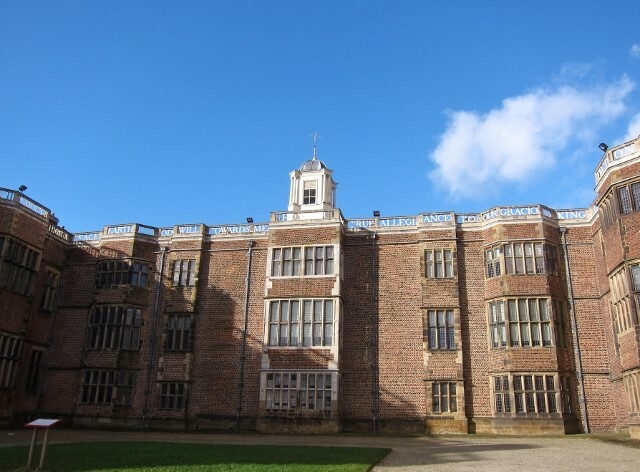 Temple Newsam, originally owned by the Knights Templar, had been confiscated from Thomas, Lord Darcy, for his part in the Pilgrimage of Grace. 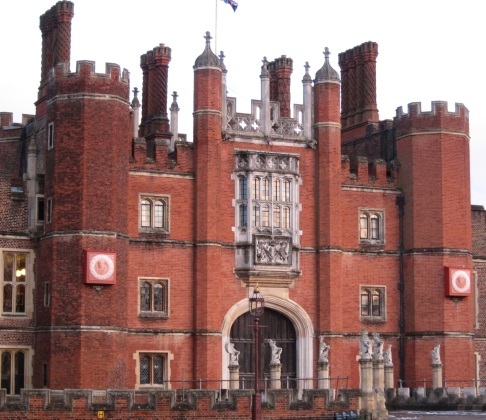 Today, it is an extremely imposing Jacobean mansion, built in red brick in the traditional ‘U’ shape around a courtyard – it is so imposing, it has been called the ‘Hampton Court of the North’. The majority of the current building post-dates Margaret’s residence, but part of the main block is still the original Tudor house she knew. 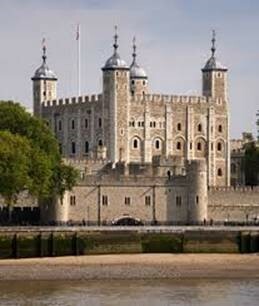 Her son, the ill-fated Lord Darnley, was born here on 7th December 1545. It is now owned by Leeds City Council and contains an extensive art collection. Temple Newsam wasn’t the only great house the Lennoxes owned. They were granted the lands of Jervaulx Abbey (11) and built an extremely impressive mansion there, within the Abbey walls. They had a manor at Settrington (12), in North Yorkshire, also confiscated from one of the rebels of the Pilgrimage of Grace, Sir Francis Bigod. 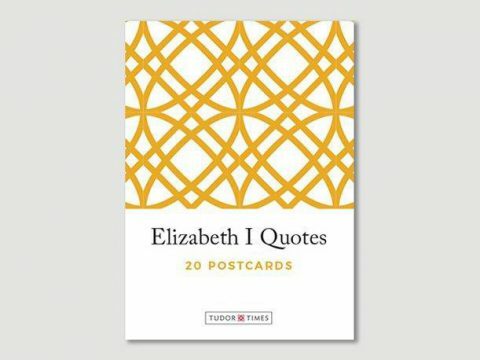 Margaret spent much of her time here during Elizabeth’s reign, as far away from court and as close to the coast as possible, to allow her to send messages and letters to France, Spain and Scotland with minimum chance of interception. Wressle Castle, once the property of the Percy Earls of Northumberland, was another of the Lennoxes’ properties. Now an impressive ruin, it was from Wressle that Margaret dated a letter to her father, the Earl of Angus, in which she tells him how angry she is that he has disinherited her. Wressle is close to the Humber, and, at that time, passage to London or Edinburgh from there would have been as easy by ship as by road, although we don’t know if Margaret ever travelled by ship herself. Margaret’s life was devoted to the advancement of her two sons, and she went to extreme lengths to promote Lord Darnley’s marriage to Mary, Queen of Scots, even suffering a long imprisonment in the Tower, when Elizabeth found out. Not chastened by this experience, nor by Darnley’s death, she continued to try to promote her family, even without royal consent. In 1574 she visited an old friend, Elizabeth (Bess) Hardwick, Countess of Shrewsbury. Elizabeth Shrewsbury was enormously rich, with a daughter, and Margaret had a second son whose veins were rich in royal blood. Lady Shrewsbury and her husband were also the gaolers of Margaret’s niece and daughter-in-law, Mary, Queen of Scots. Whilst Margaret did not dare so far to defy the Queen as to visit Queen Mary, she did visit Lady Shrewsbury at Rufford Abbey (13), and it was here that the two ladies were amazed to discover that their children had fallen so far in love, that the only honourable thing to do was to let them marry at once, even without royal permission. Rufford is currently in the care of English Heritage, and there is quite an extensive range of buildings to see, although they are not habitable. Margaret had another taste of the Tower for this unapproved marriage. Towards the end of her life, Margaret spent most of her time in Hackney (14) a fashionable area of east London, and it was there that she died on 9th March, 1578. There is no trace now of Margaret’s house, although the church tower of St Augustine remains, and can be visited on the first Sunday of each month. Hackney was a particularly popular area with Catholic recusants, and that might have influenced Margaret’s choice of location. 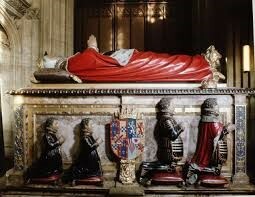 Margaret was buried in Westminster Abbey, in the Lady Chapel built by her grandfather, Henry VII. On the accession to the English Crown of her grandson, James VI of Scotland, he had an impressive new monument built for her. 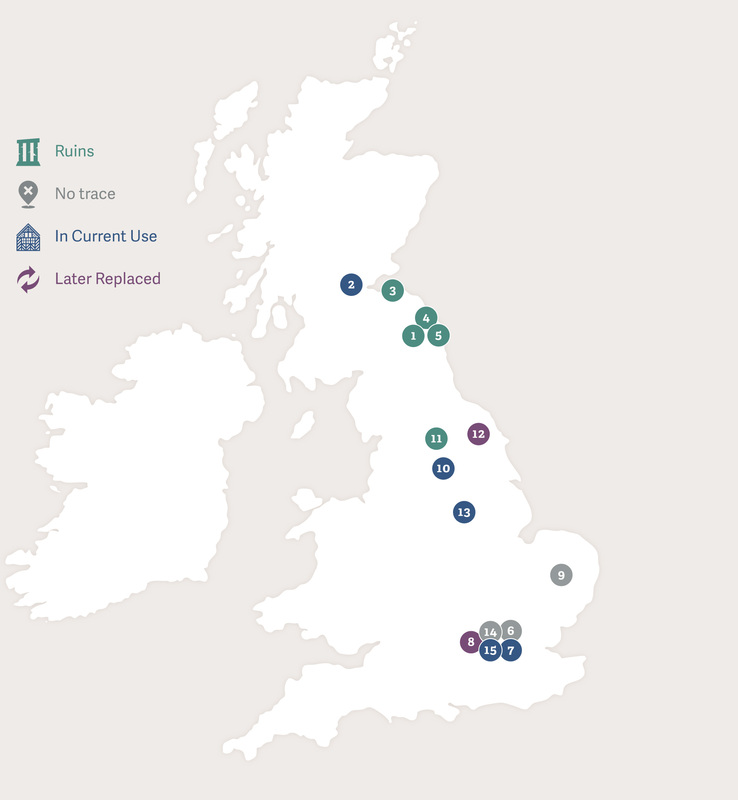 The map below shows the location of the places associated with Margaret Douglas discussed in this article.